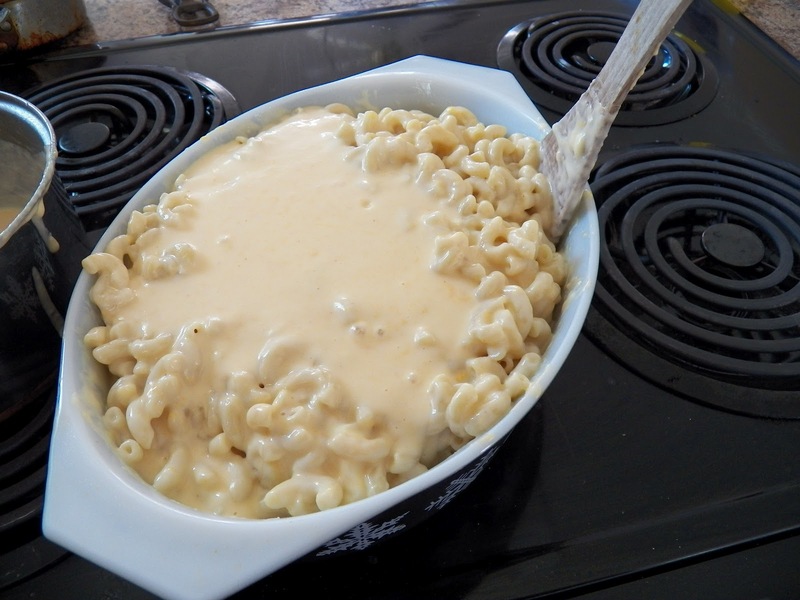 After making Mac and Cheese for the senior lunch a couple of weeks ago I received a lot of comments on how good the dish was, and I posted the recipe that I used for that. 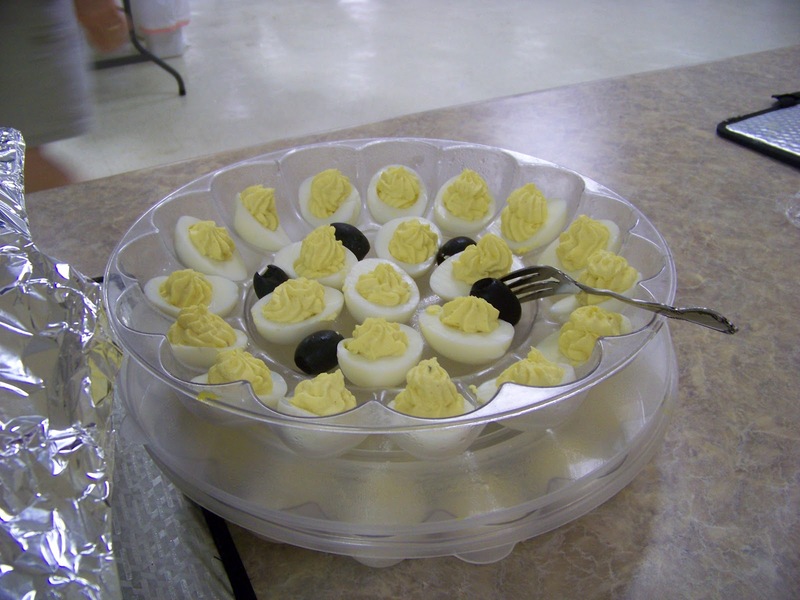 But that one made a whole lotta Mac and Cheese and would probably be more than you really need to make for a gathering. So when I was asked to bring Mac and Cheese for Easter I decided to make a smaller amount. And still ended up with more than we needed, but that’s OK, I like leftovers. To start with, get a big old pot of water boiling. 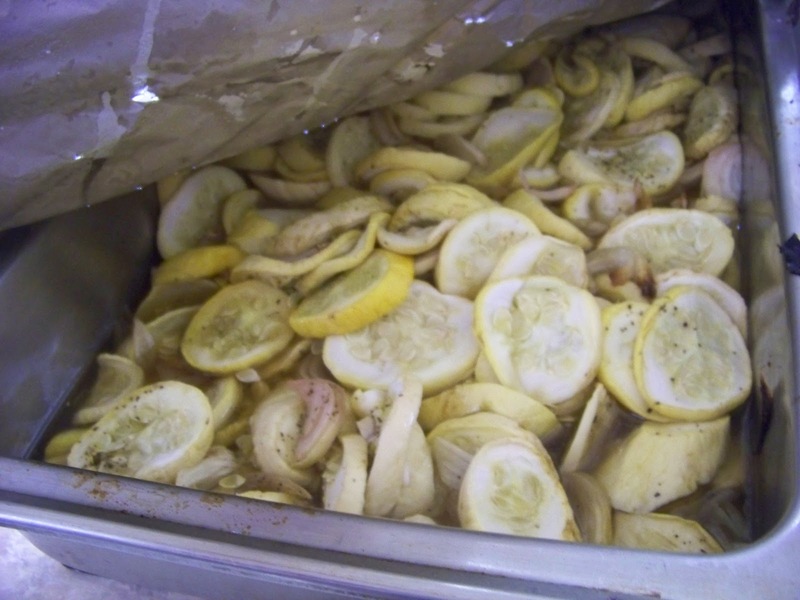 You need to add a little salt and I like to add some olive oil to the water as well. Cook the macaroni to your preferred level of done-ness. Personally, I like mine cooked all the way, about 11 or 12 minutes. While the macaroni is cooking, grate the cheese. I used a pound of Colby Jack cheese, but you can use a mixture of Monterey Jack Cheese and Cheddar Cheese. If you have some sharp cheddar handy, throw some of that in there. Sprinkle the grated cheese with about a tablespoon of cornstarch and toss. Set this aside while you make a white sauce. Heat up 4 cups of half and half or whole milk, until almost boiling. Then in a separate pot, melt 2 tablespoons butter and stir in 2 tablespoons flour, then add the hot milk and whisk together and cook until thickened. Your sauce won’t be real thick, don’t worry about that. 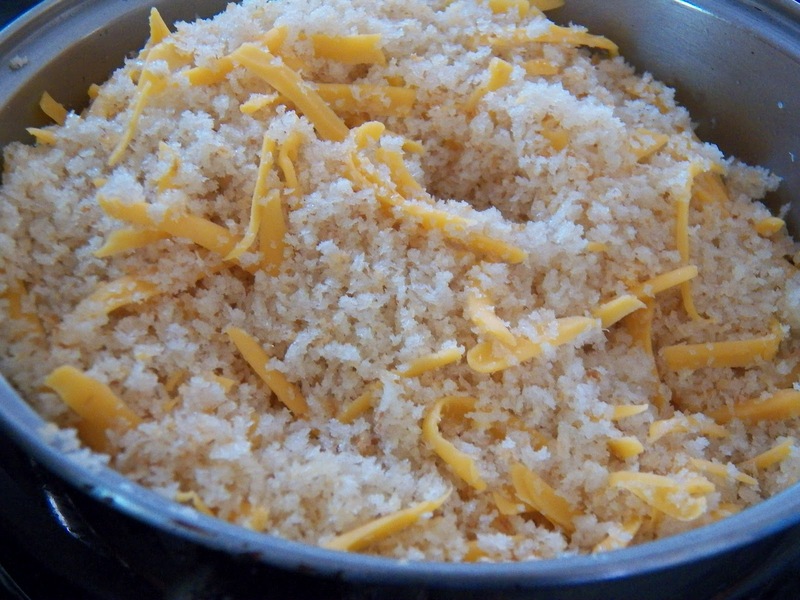 As soon as it’s cooked a little to get rid of the raw flour taste, dump in the grated cheese and stir together. The cheese will melt at this point and that bit of cornstarch on the cheese will help to keep the cheese from separating. Add about 1/4 teaspoon of onion powder, 1/8th teaspoon hot mustard powder or two tablespoons prepared yellow mustard and 1/8th teaspoon cayenne pepper to the sauce at this point. Taste, and adjust the seasonings, you can always add more, but taking out that cayenne pepper, well, let me just say this, it ain’t possible. (I know this from experience). Let it stand a couple of minutes while you cube up some Velveeta cheese. I used the new Queso Blanco. Just about a cup or so, again to your taste. 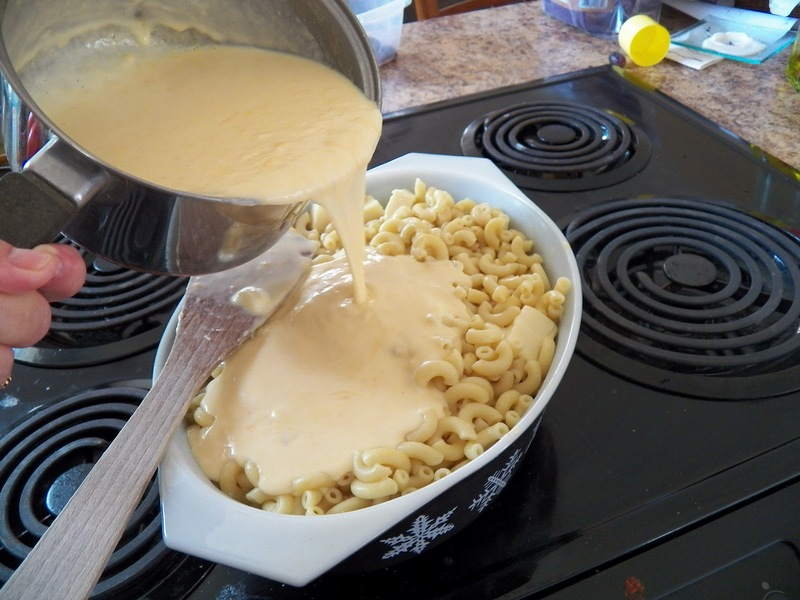 Mix the cubed velveeta into the hot macaroni and stir, then pour the cheese sauce over, mix it all together gently. 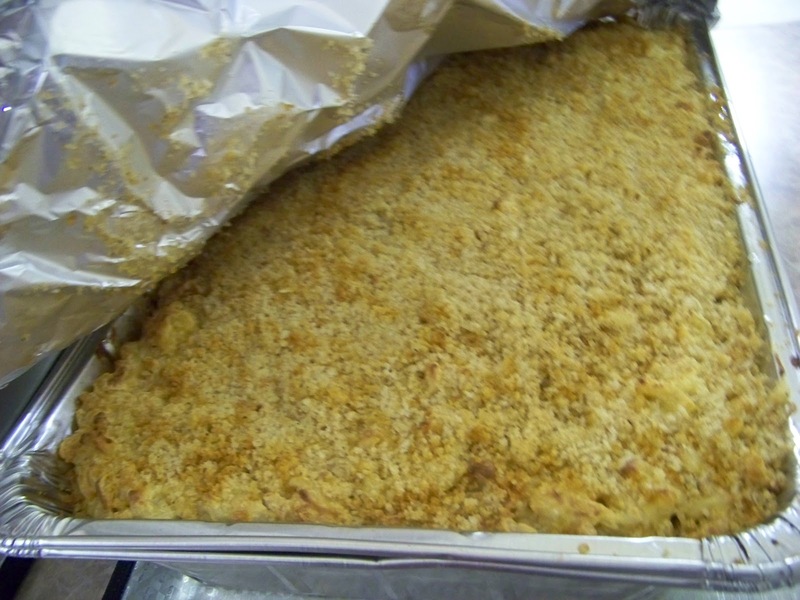 Top with some panko bread crumbs that you’ve mixed with a little butter, and sprinkle over the top. I melt some butter in a little pan and then add the Panko to it and stir it around, and brown it just a little teensy bit. This time round I also added about a half cup of shredded cheese to it as well. Bake in a 350 degree oven for 45 minutes. Take out of oven and let stand for 10 minutes, then serve. And at this point, stand well back from the pan, you’re going to have people elbowing into the line. This is some seriously good Mac and Cheese. 4 cups half and half, heated almost to boiling. Heat milk almost to boiling and set aside. Melt butter in a saucepan, add flour and stir together to make a roux. Add the hot half and half and whisk together until it has thickened. 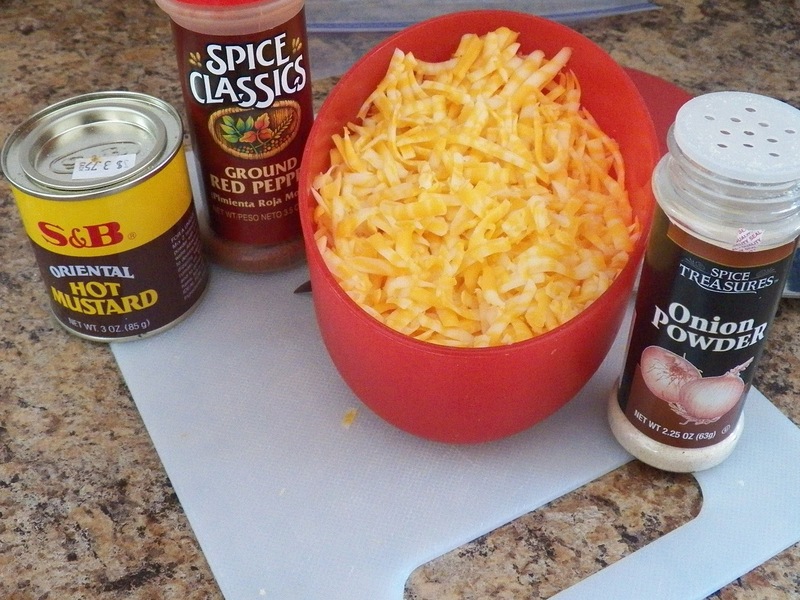 Add the spices, whisk together and then add the cheese. Stir together until melted and the sauce has thickened a little. 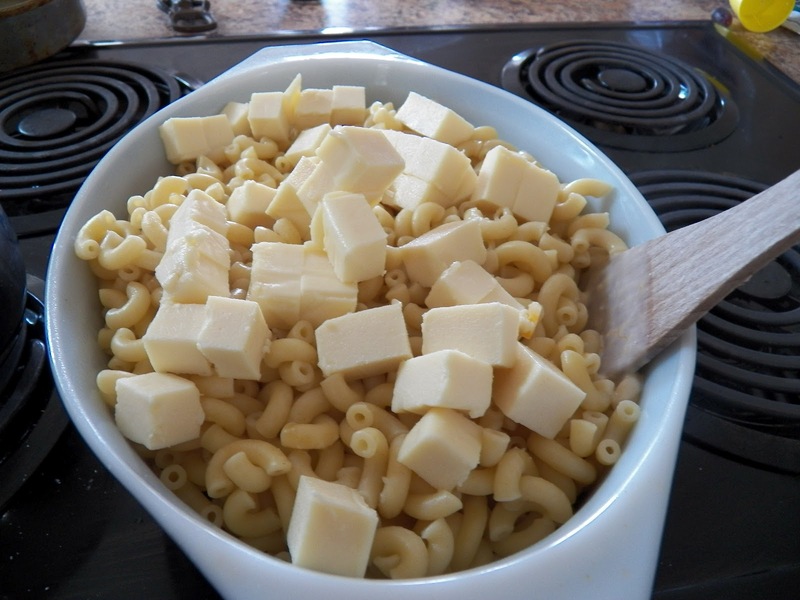 Pour over the cooked macaroni and Velveeta Cheese cubes. 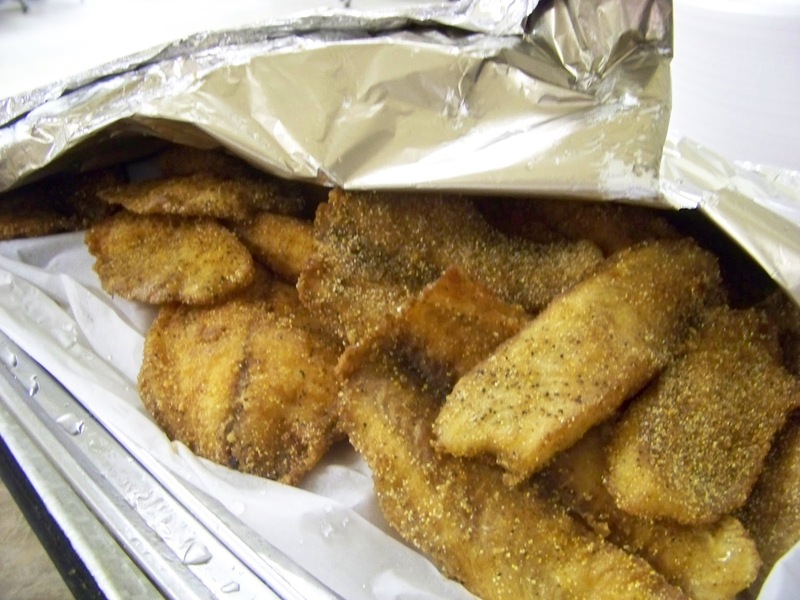 Mix together gently and sprinkle some buttered Panko bread crumbs on top. Bake in a 350 degree oven for 45 minutes or until nice and bubbly and hot. 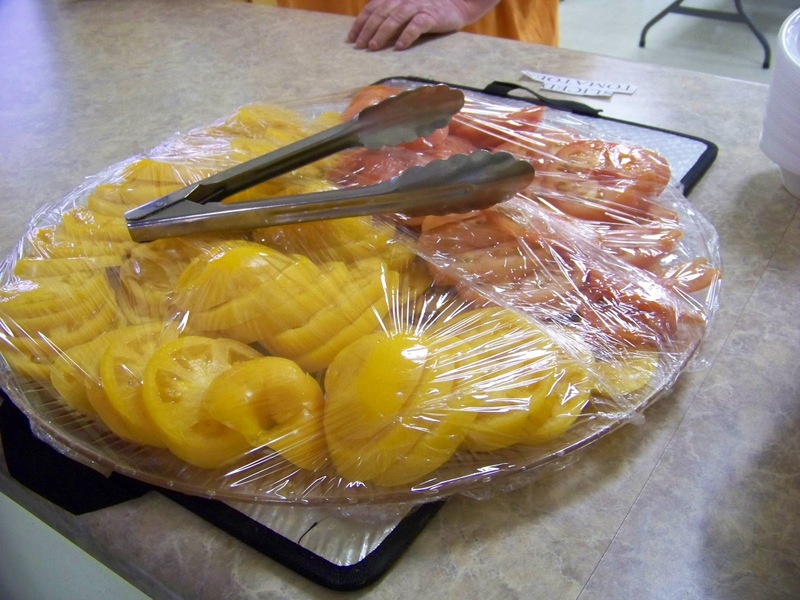 Take out and let stand for 10 minutes before serving. This stuff is HOT when it comes out of the oven, and needs to rest, besides which, you’ll just burn your tongue if you try to eat it fresh out of the oven. I know this because, well, let me just say my tongue is just fine now. Senior’s Lunch 3/29 and Mac and Cheese for a crowd. And I have to say that the Mac and Cheese was really good, and just to give you an idea of how much I made, here’s the recipe, but please remember I eyeballed a lot of this, and added until it tasted right. Toss the grated cheese with a couple tablespoons of cornstarch, keeps it from sticking to itself and, very important, keeps it from separating while cooking. 1/2 cup yellow mustard, (could have been a little more, I was eyeballing it). Grease two large baking pans, I’ll have to measure them next week and let you know just how big they were, but anyway, then divide the cooked macaroni into the dishes, half into each one. Divide the grated cheese into two portions, and add half to each pan of macaroni, give it a little stir, you don’t want it clumping up into one big cheesy clump. 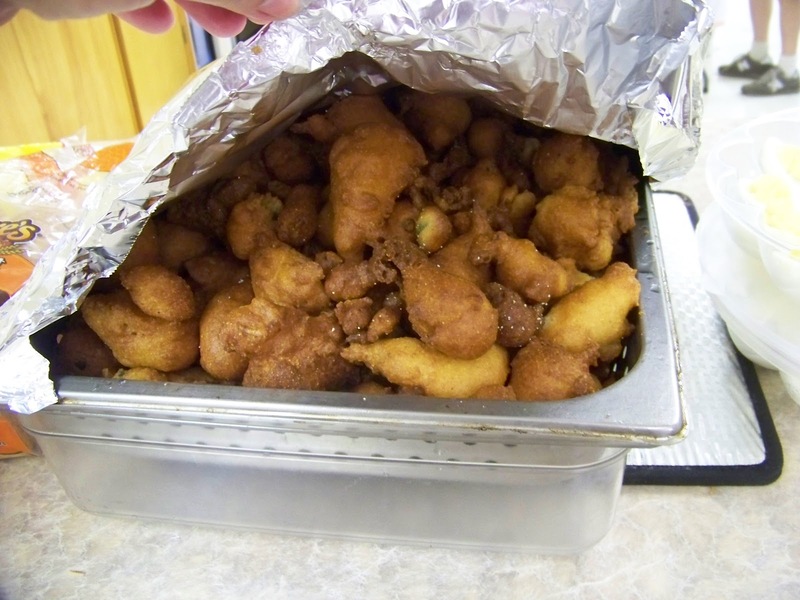 Then chunk up each one pound package of Velveeta and add the cubes to the hot macaroni, stir. 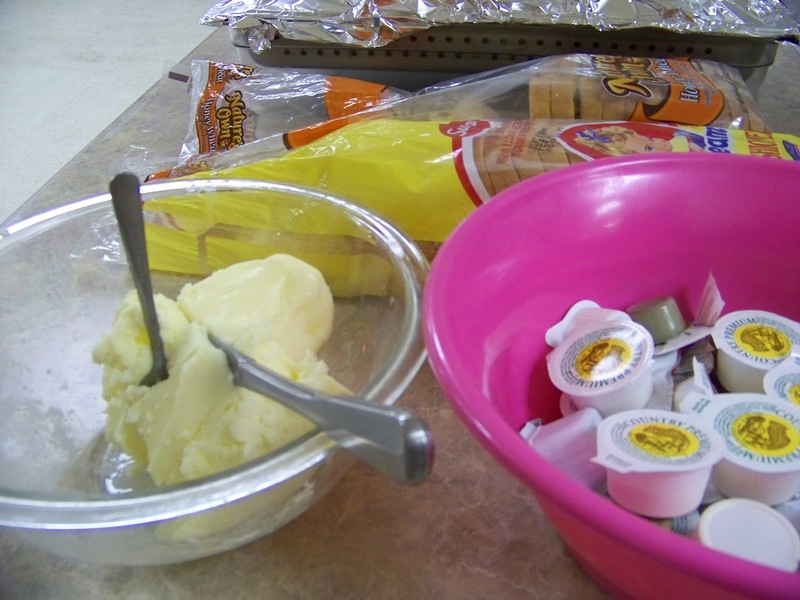 Set aside while you make a white sauce out of the half and half and cornstarch. Then pour half of the white sauce over each pan of macaroni, give it a stir and top with the buttered Panko Bread crumbs. 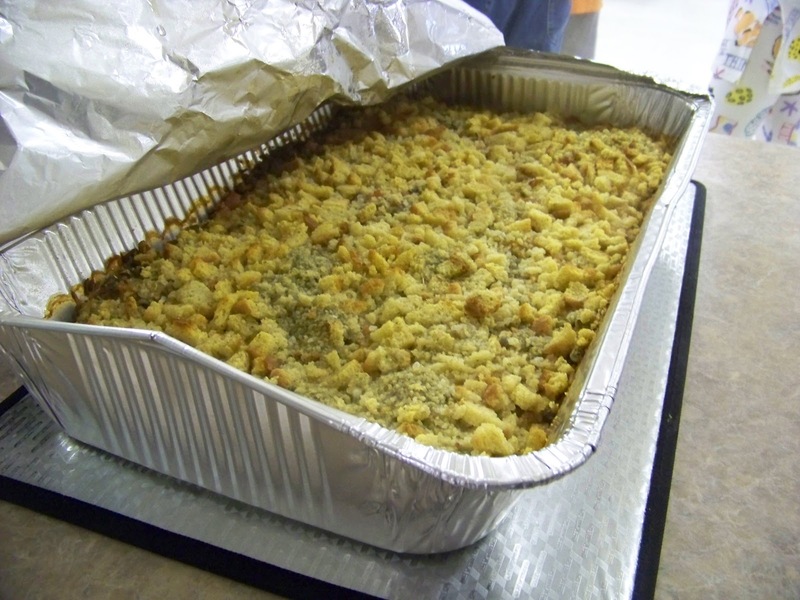 Bake until heated through, about 45 minutes or so, and the crumbs are browned a little. This made a lot, and it was very good. 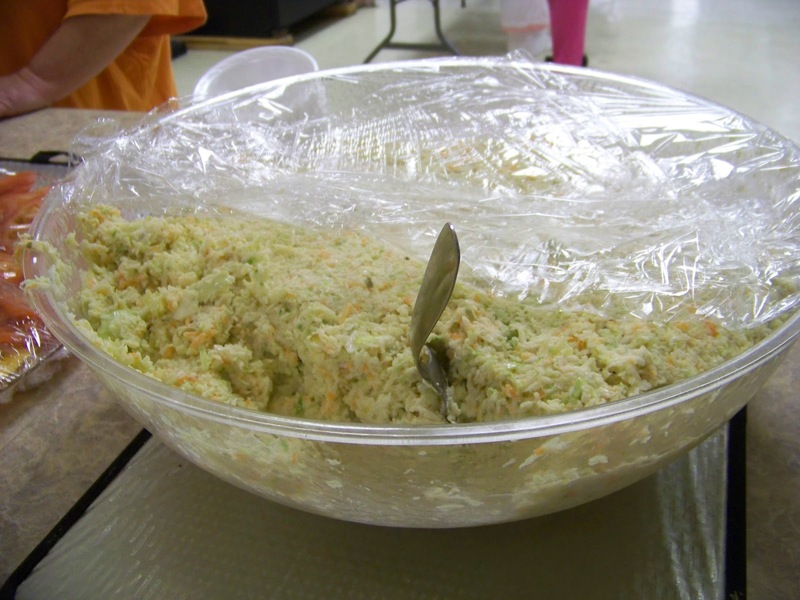 I’m actually going to be making this again, and taking it to a friends house for part of Easter dinner, so I’ll post the more reasonable proportions for a family size recipe later. 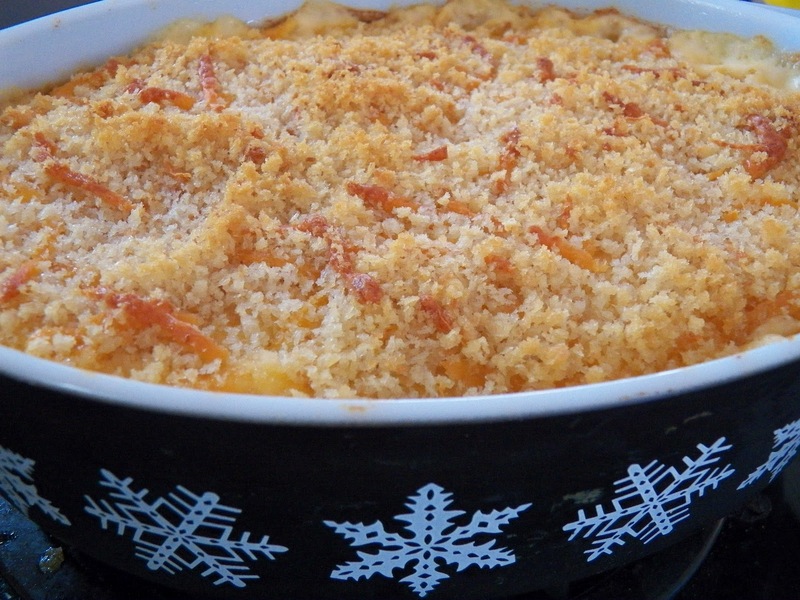 However, if you’re making Mac and Cheese for a large group of people, this recipe is spot on.